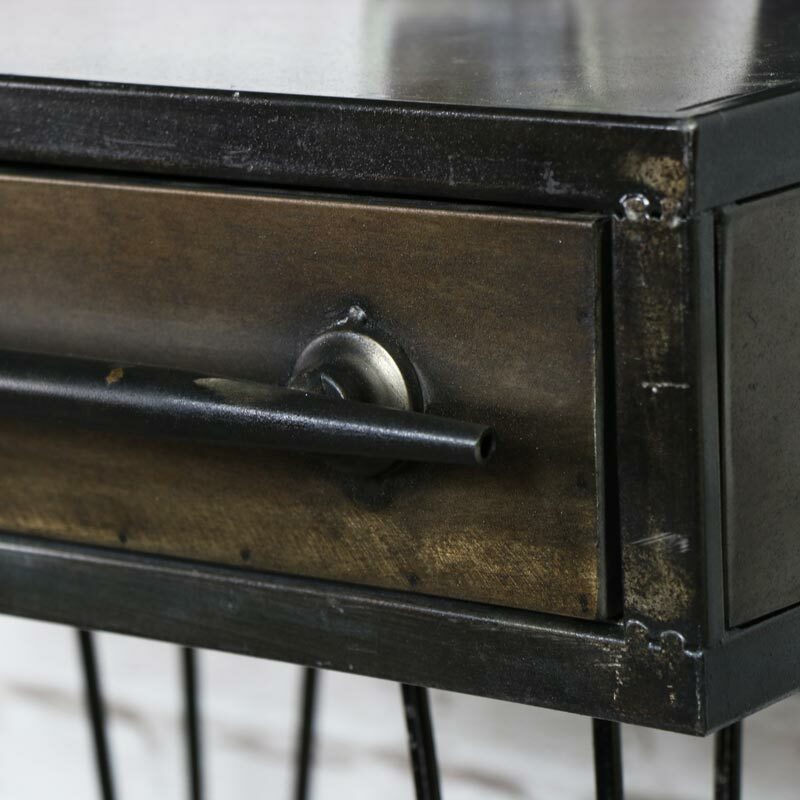 For all those that love everything retro and industrial, this bedside table is simply perfect. Fantastically stylish, this bedside table would suit the urban loft living style decor. With a box shaped top on top of hairpin style legs, leaving plenty of room for a table lamp or display with drawer storage, this is the perfect table for your living room, bedroom or hallway. Fabulous contemporary design that will suit an interior and make the most of your decor. With one drawer storage for all your knick-knacks and a place to put your table lamps, ornaments or displays. Great for use in any room, this will look great sat at a bedside or in the living room as an occasional/side table. 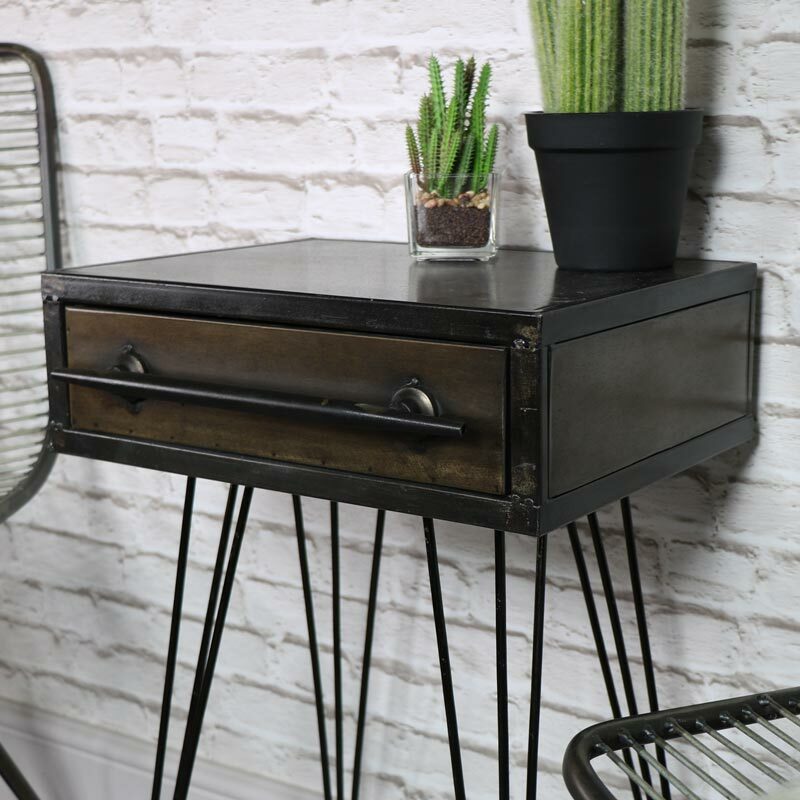 For all those that love everything retro and industrial, this bedside table is simply perfect. Fantastically stylish, this bedside table would suit the urban loft living style decor. 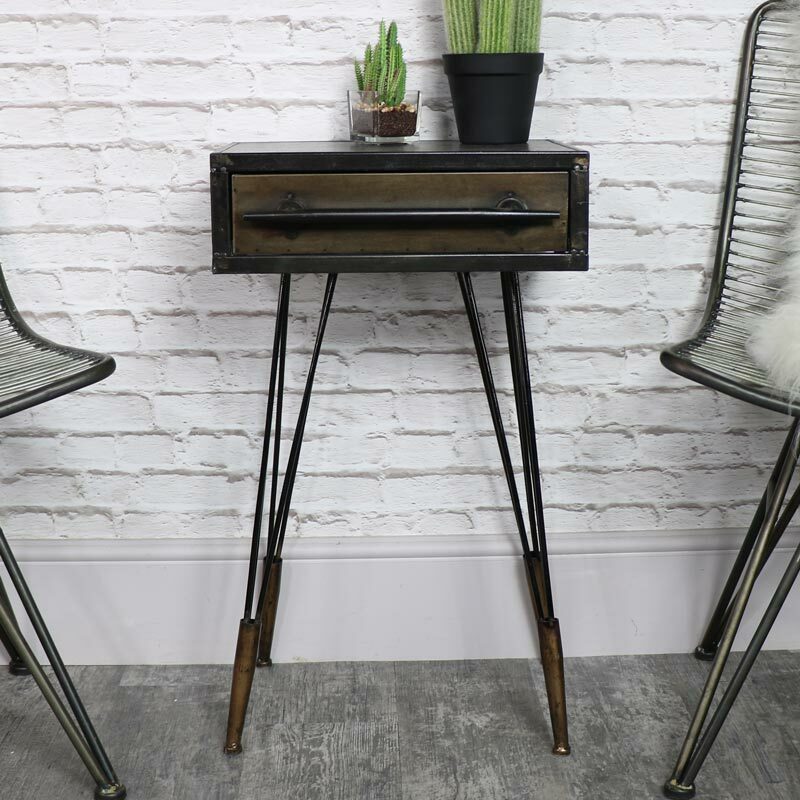 With a box shaped top on top of hairpin style legs, leaving plenty of room for a table lamp or display with drawer storage, this is the perfect table for your living room, bedroom or hallway. Fabulous contemporary design that will suit an interior and make the most of your decor. With one drawer storage for all your knick-knacks and a place to put your table lamps, ornaments or displays. Great for use in any room, this will look great sat at a bedside or in the living room as an occasional/side table. 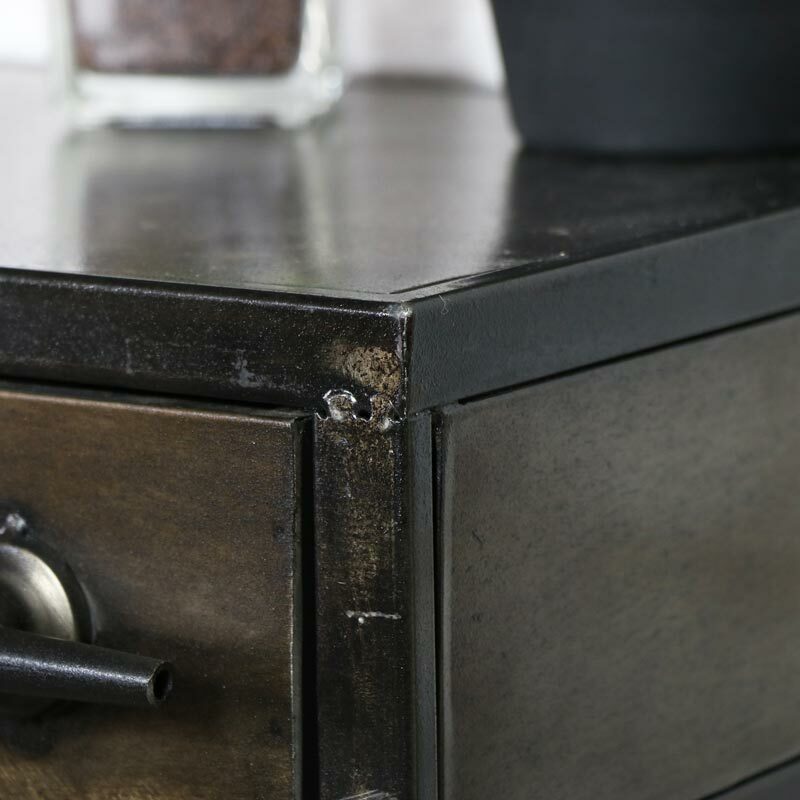 Made from metal in a rustic silver/grey finish to give a great industrial look. 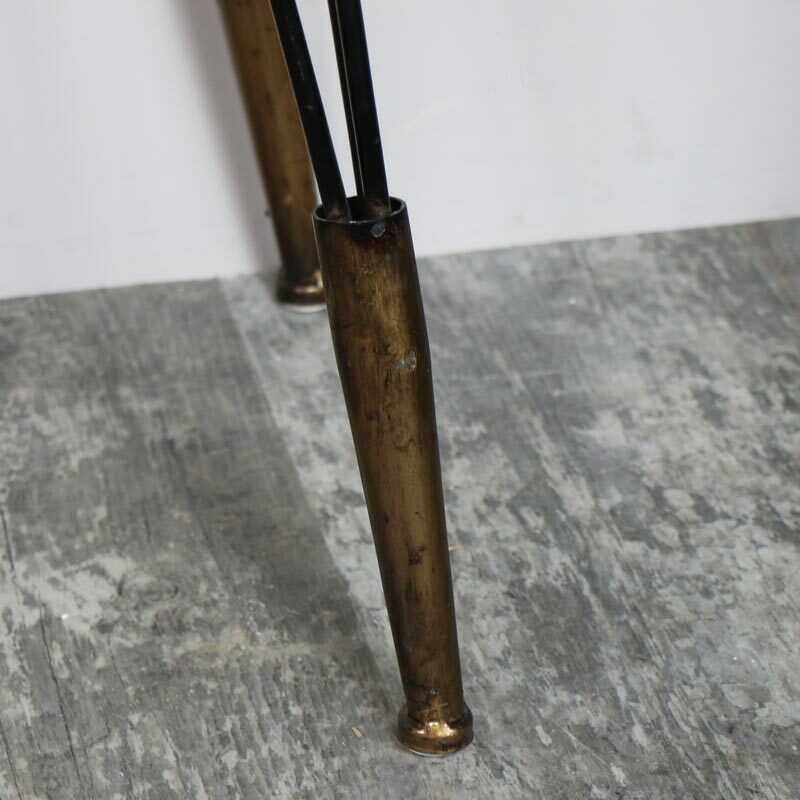 With hairpin legs that add to the overall look of this table. The drawer itself measures 34cm x 8.5cm x 28cm (width x height x depth).